Our medium duty roll-up doors are 26 gauge steel curtain doors. We found the Janus International brand, model 2500 to be the best door on the market. With the 4” deep 12 gauge galvanized guides, it’s made to withstand the strongest of winds. The cast iron gear reduction assembly provides the smoothest operation in the industry. Janus brand curtain doors come in 20 different colors, standard! Janus has a large variety of options available, just give us a call and we find the right door to fit your needs! The Cookson Company is the original manufacturer of Counter Doors that are not just standard service doors reduced in size. They are commonly found in school cafeterias, ticket booths, and concession areas. They are manufactured out of Steel, Stainless steel, and Aluminum, commonly operated by push/pull, awning crank, or motor. Finishes are clear anodized aluminum, baked on polyester enamel, or powder coat. Give us a call to discuss your options. Fire doors are designed to close and seal an area when there is the presence of smoke or fire. This limits the damage done by fire or smoke by stopping the spread from one area to another. Cookson lead the industry in fire door technology. We can provide you a large variety of options to fit your needs. Call us to speak to one of our fire door specialists to discuss your options. 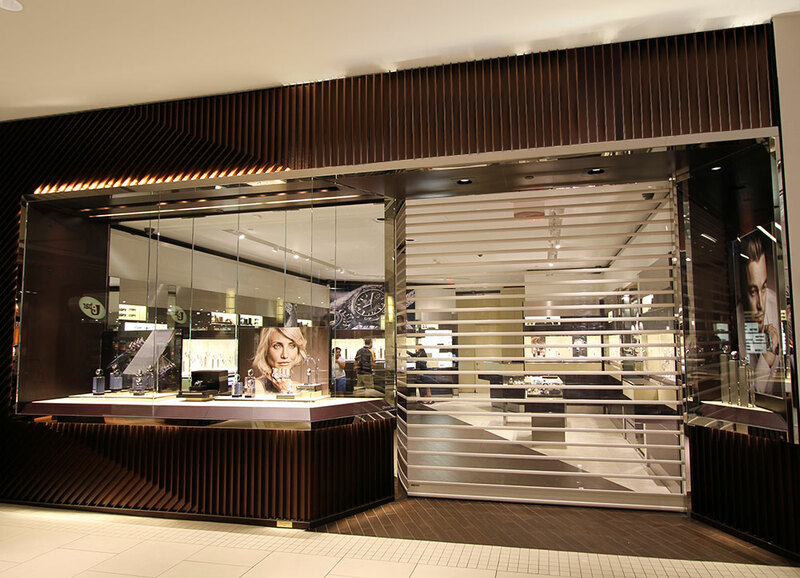 We are a proud provider of the Cookson brand slat doors. The slat door is used in variety of applications; a few are such as high cycle, high security applications, and where keeping down time to a minimum is important. A few slat options are steel, aluminum, and stainless steel.